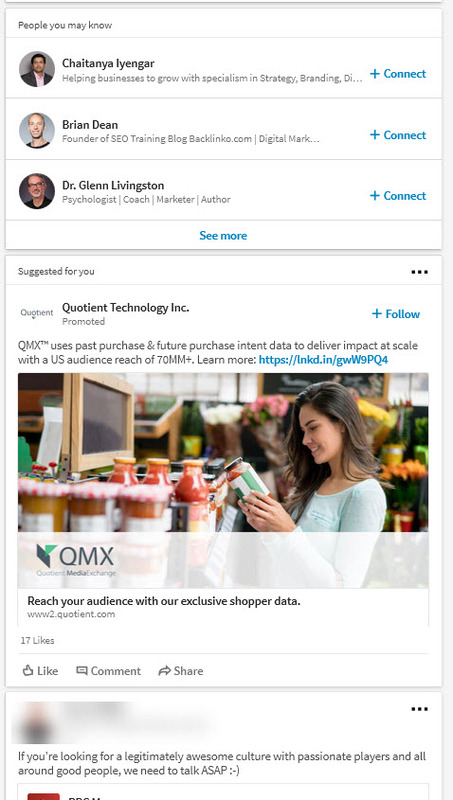 As marketers gather more information about their customers, direct marketing gets more interesting. The amount of customer purchase data available nowadays is staggering. I’m sure you’ve all seen the personalized coupons that print out along with your receipt at the grocery store. And many of you have probably received personalized coupons in the mail, as well. I know I do – I’ve started to get coupons in the mail from Meijer, where I buy most of my groceries. On the one hand, this is really cool – no more clipping coupons from the newspaper inserts! Personalized coupons for stuff I actually buy – how awesome is that? But there’s a problem. The coupons are clearly based on past purchase behavior. Why is this a problem, you ask? After all, don’t you WANT coupons for stuff you’ve bought before? Yes and no. Here’s an example. A few weeks ago, I bought a new laundry basket for my son. I’d guess most of us buy laundry baskets only once every few years. But what shows up in my mailbox last week? A coupon for $2 off a laundry basket – and the coupon expires in 30 days, no less. Nice try, but no dice. I’ve gotten tons of coupons like this. Coupons for cereal I just bought – and I have to buy 4 boxes to get the savings. Even with teenagers in the house, we don’t eat THAT much cereal. Coupons for zip-top bags that I just bought by the hundreds. You get the picture. I don’t have enough storage space for all the stuff these retailers expect me to stock up on. So what does this rant have to do with search? One of the things I love best about search is that it fulfills customer demand at the right time. No one searches for laundry baskets AFTER they just bought one – they search BEFORE they get ready to buy. THAT’S when I want the coupon. I want it before, not after! It seems to me that it wouldn’t be that hard to do. I know Meijer has years of purchase history on me, because I’ve shopped there forever. And honestly, as big brother-ish as it seems, I’d rather they review my purchase history, figure out the patterns, and send me coupons at just the right time. How hard can that possibly be? Until retailers figure this out, we search marketers have it made. Search Plus Your World – Good or Bad for PPC? A short while ago, Google rolled out with Search Plus Your World, where search results for those logged in to Google Plus incorporate social content from Google Plus connections. Some say this is Google’s answer to Facebook and the social graph. And apparently Google Plus is here to stay, according to Larry Page. Putting aside the fact that I find the whole SPYW thing to be a bit creepy and pointless, what effect is this going to have on PPC ads? Little has been said so far about SPYW and PPC – the focus has been on organic listings. However, the fact remains that Google has been showing personalized search results for a long time; PPC ads can be served based on search history, and impressions decrease if someone performs a lot of repeated searches and doesn’t click on any ads. Furthermore, organic results and PPC ads work hand in hand. It’s been well documented that having a PPC ad and an organic listing drives more traffic than having one or the other, but not both. We also know that ads can be “+1’d” – another social signal affecting PPC, but exactly how is unclear. What do you think about all this? Is SPYW going to ruin PPC for the rest of us? How much will things change? Share your thoughts in the comments! Google Instant – The Apocalypse of SEO? 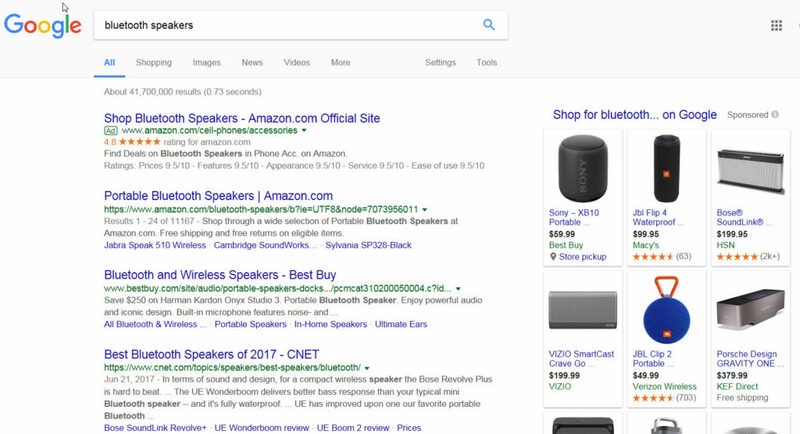 Unless you’re still on summer vacation, you’ve probably read plenty about Google Instant – the fun new feature that serves up search engine results pages and PPC ads as you type, and changes them as you go along. The Twittersphere is abuzz with predictions about Instant marking the death of SEO. Hold on. Not so fast. In my latest post on the Fluency Media Blog, I discuss why we need to just keep doing what we’ve been doing all along: choosing relevant keywords, link building, publishing relevant content….. Give it a read and let me know what you think, either here or on the Fluency blog. It’s been a while since I’ve posted here. And it’s not just because I’ve been busy. I have been busy, but that’s not the only reason. Thursday, August 6, was a pretty typical day. I drove 80 miles to our Ann Arbor office for the day, where I had a client meeting. After the meeting, a couple co-workers and I walked several blocks through downtown Ann Arbor to get cupcakes to snack on. I drove home afterward and had a normal evening with my family, and worked on last-minute plans for our summer vacation, for which we were to leave 2 days later. Then, tired, I went to bed. Later that morning, I was diagnosed with pneumonia. I’ve never had it before, although our daughter did when she was 6, so I knew how scary it could be. Luckily, I wasn’t hospitalized – with a blood oxygen level of 94, it wasn’t hospital-serious. However, the doctor told me that it takes 6-8 weeks to recover from pneumonia. I wasn’t disappointed in Bing. A Google search turned up a mish-mash of forum threads, blog posts, and informational articles – and it was hard to sift through it all. Bing, on the other hand, turned up highly relevant and credible articles about exactly what I needed: information on how long it really takes to recover from pneunomia. Even though the online information backed up what the doctor said, I still blew it off – much to my detriment. 3 weeks into my recovery, I came down with bronchitis. While it wasn’t severe and I caught it early, it was the wakeup call I needed. Yes, even pneumonia wasn’t enough of a wakeup call for me to realize I needed to slow down. I’m 43 years old. I’m told I don’t look it, and most of the time I don’t feel it, either. I’m proud to be able to successfully juggle a full-time career and be a good wife and mother – and still go to the gym twice a week and participate in a few extra-curricular activities of my own. I eat healthy and have kept off a 35-pound weight loss for 10 years. I think I’m doing pretty well for my age. But that doesn’t make me infallible. Being a busy working mom can be stressful, and I wasn’t doing a good job of slowing down and resting when I was tired – I just kept soldiering on. I sort of had the attitude that I’d sleep when I’m dead. No more. Now, I make sure to get at least 7 1/2 hours of sleep a night (as opposed to the 6-7 I was getting before I got sick). I take frequent breaks during the work day instead of pushing through 8 hours without stopping. And if I’m too tired to work out, I don’t – even if it means missing a day. I heard recently that, for many moms, “the slowing-down process is not something we’re good at.” That’s for sure. But in the past 2 months, I’ve gotten a lot better at it. I’ve learned to say, “No, I can’t do that just now,” even to my boss. I think I’m worth it. I *know* I’m worth it. In my spare time (I know, ha ha) I love to watch Food Network. Yes, I admit it – I’m a closet FN junkie. And naturally, my new favorite website is Food Network Humor. It’s a smart and hilarious site that pokes (mostly) good-natured fun at Food Network shows and stars. One of the most recent FNH posts is titled Food Network Humor Search Terms. Needless to say, that got my attention! Food Network *and* search, all in one post? Jackpot! Whether or not you watch Food Network, if you’re a search pro, you’ll love this. We’ve all seen similar examples of weird, crazy, and just plain non-sequiter search queries in our logs, but these made me laugh anyway. I was inspired. Expanding FMLA is an issue near and dear to my heart. 12 years ago today, I was 8 days away from giving birth to twins. I’d been on bed rest since the end of January. To make a long story short, my maternity leave before & after the twins were born lasted 16 weeks – all of them unpaid. It took us nearly 2 years to pay off the debts we incurred from the unpaid leave. Needless to say I’ve been a vocal advocate for better parental leave ever since. So, I went right over to workingmother.com to vote in the poll. Problem was, I couldn’t find it. I expected to see the poll, or at least a link to the poll, right on the homepage. No such luck. I clicked on “current issue,” thinking I’d find it there. No such luck. I conducted a site search for “FMLA support poll” – the exact words from Carol Evans’ column. No such luck. 3 strikes and you’re out – after nearly 15 minutes of fruitless searching, I gave up. This is yet another frustrating example of offline marketing failing online. If Working Mother Magazine really thinks this poll is such a big issue, maybe they shouldn’t hide it so well on their site. This year, my husband and I decided to go simple on holiday gifts. The plan was to get a Nintendo Wii, plus a couple games, for the immediate family for Christmas – and that’s it. Great plan, that is, until we realized just how popular the Wii is this year. My husband went to three stores last night (in the course of shopping for other extended-family gifts) and came home with Rock Band II, but no Wii. I said, no problem, I’ll just check Amazon – I’m sure they’ll have it. Ha. Well, they do – but only via third-party vendors, who seem to be in a bidding war for Amazon customers. Prices were at least $100 more than advertised in-store prices. Sorry, no go. Enter PPC. Determined not to end up a Scrooge, I went to Google and searched for “nintendo wii.” Jackpot! Of course, there were ads from the shopping search engines and eBay, but I bypassed those for Walmart’s ad. I’m not normally a Walmart shopper – I have issues with some of their business practices – but amongst all the PPC ads on the page, they were the most trustworthy of the bunch. And they had the Wii in stock, at the same price I saw in all the sale flyers, ready to ship by Christmas. This is one instance where PPC fits the bill much better than SEO. Nintendo topped the organic results for “nintendo wii,” complete with sitelinks and such. Which they should, no argument there. But I want to *buy* the Wii, not learn about it from the manufacturer. PPC, with its on-target messaging, hit the spot here. I know this isn’t a big surprise to anyone, but it’s just fun to be able to find what I’m looking for without ever leaving the house, thanks to PPC. Now that the bottom has officially dropped out of the US economy, people are looking for easy ways to help others. Microsoft has stepped up to the charity plate with its Search and Give website. Apparently this has been around for over a year, but I just read about it last week in my local newspaper. As stated in the article, “Search and Give generates revenue for participating schools and charitable groups” by donating a penny for every search done on the site. The reason this made the local paper is because one of the Lansing elementary schools recently received a check for $0.01 from the program. Nice. Secondly, even if this program ran off Live instead of SearchandGive.com, traffic volume is so low that it barely matters. We can’t get enough traction from MSN/Live for our e-commerce clients, much less traction for something that’s nice to do, but really isn’t going to move the needle for businesses or these worthy charities. But I give props for good intentions. The donations are coming from Microsoft, and this really is a nice gesture on their part. And, if promoted correctly, it can be an easy way to raise some needed funds for charities who need it now more than ever. It’s just a shame that, as usual, Microsoft has made the tool just about as difficult to use as they possibly can. 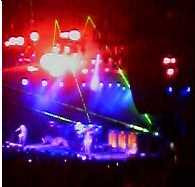 We saw Rush at DTE Music Theater on Tuesday night. It’s the 5th time I’ve seen them, and as usual, the drum solo was the best part of the whole show. How cool is that?!? It’s as if I’ve stumbled upon my own personal “six degrees of Neil Peart” – something I do for a living is actually helping a hugely successful rock band to do their job. It just doesn’t get any better than that.